Bill Lincoln lives with his wife Carol in the Rim Rock Ranch development. He has been a resident of Lake County for 14 years and absolutely loves it here. 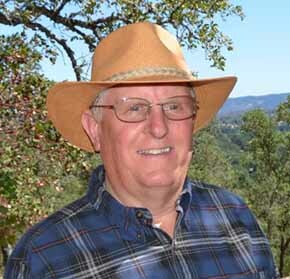 Bill graduated in 1969 from the California Polytechnic State University in San Luis Obispo, earning a Bachelor of Science degree in Agricultural Engineering. Bill has worked for Dole Pineapple in Hawaii; he was project engineer for Northwest Equipment Company in Yakima WA, was owner of Lincoln Farm Equipment in St Helena, has been a grape grower and now currently operates his own company, Lincoln Agricultural Engineering. He is a Certified Professional in Erosion and Sediment Control (CPESC) and his job includes working on erosion control plans in both Napa and Lake Counties. He is also a Qualified Stormwater Developer (QSD). Bill brings a great level of expertise and experience to the Lake County Land Trust, and is currently the vice-president. He joined the board in the summer of 2012.